After using 22 lineup combinations in their first 22 games the Lights started the same 11 in their two games last week. Midfielder Eric Avila heard the question and couldn’t help but laugh. When he saw that the Lights FC were repeating a starting lineup for the first time all season, did he assume there was a typo? But there was no mistake. After using 22 combinations in their first 22 games the Lights started the same 11 in games 23 and 24 and the results impressed coach Isidro Sanchez. While Sanchez praised the team’s efforts, both games were losses, albeit to the second- and third-place teams in the Western Conference. 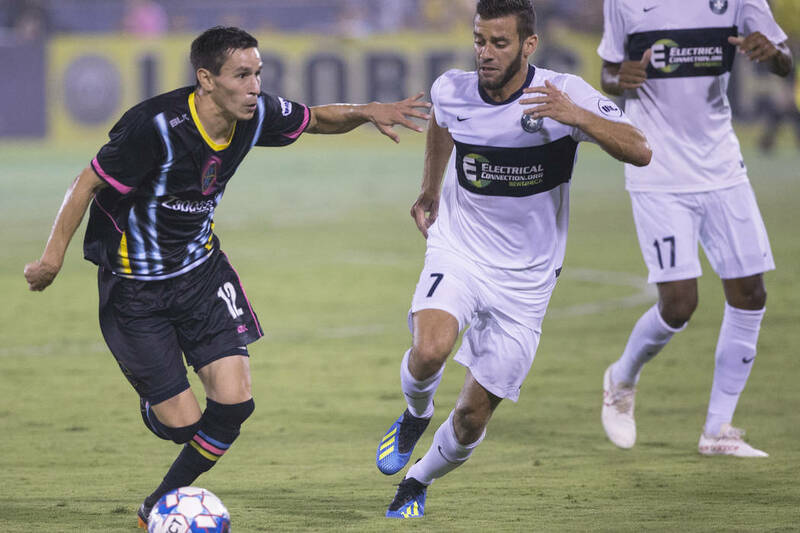 The Lights lost 3-1 at Orange County SC on August 15 and 2-0 to Phoenix Rising FC at home last Saturday. But the way they played in defeat gave them confidence. Avila played a unique role in the starting lineup the Lights used for the two games, which functioned formationally as a 4-3-3 and a 4-1-2-3. The attacking midfielder slid back to become a defender, giving the team some playmaking ability from its back line. While Avila appears to be sticking at outside back for now, the rest of the Lights’ lineup likely won’t stay the same for the third game in a row. Sanchez and technical director Jose Luis Sanchez Sola like to change things based on who is performing well in practice and there’s a set of players they’ll want to work back in. Defenders Joel Huiqui and Miguel Garduno are eligible to play Saturday against Fresno FC after missing time because of suspensions and midfielder Carlos Alvarez may return to the field as well. Alvarez, who is tied for the team lead in goals and assists, was able to play against Phoenix after a three-game suspension but did not dress. Sanchez said the Lights’ effort the last two games would allow him to focus on details this week in training. It turns out he meant details when it comes to making and receiving passes, which was emphasized at practice Wednesday. The Lights are last in the USL in total passes (7,057) and passing accuracy (67 percent).